I used to never, ever read the comments people make in cyberspace. We’ve all heard how toxic the conversation can be when commenters get to say whatever they want with the safety of distance and anonymity of the internet. But now I read the comments and – besides the ugliness – I’m discovering some hopeful respectful connections in places I never would have imagined. I volunteer with Coffee Party USA and one of my jobs is to post blogs and articles to our Join the Coffee Party Movement Facebook page. A dozen of us editors keep the page populated with content we believe is worthy of discussion, every hour on the hour, 24/7. Our Coffee Party Facebook page has over a million followers and we volunteers take our work very seriously. The things I post usually don’t garner much attention since I circulate articles that encourage people to disagree agreeably, to respect differences and to collaborate constructively. In today’s polarized, angry culture, you can bet a message of civility will fall on deaf ears much of the time. 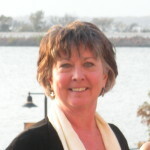 But I had an experience recently on our Join the Coffee Party Movement page that completely blindsided me. I had scheduled an article to publish at 7 a.m. and by the time I had my coffee and checked in to Facebook at 9, the post had brought in over 500 comments and at least that many shares. Liberals aren’t stupid. Conservatives aren’t racists. The people we disagree with are not our enemies. The essay is written by Marc Thiessen, a self-described conservative who writes for the Washington Post. His opening story talks about his mother who is a proud liberal and so he was bold to call out his fellow conservatives for some unfair characterizations that cast his own mother as “the enemy.” Thiessen’s essay goes on to critique some liberal unfairness as well so, all in all, it’s a balanced plea for all of us to disagree agreeably. OMGoodness! The backlash from my fellow liberals was amazing! Not “amazing” in a good way; rather I was amazed that progressives who consider themselves to be open minded and tolerant would respond with such closed minded intolerance. “Of course conservatives are racist” and “yes conservatives are the enemy” were common remarks from our readers on the left. Never mind that the article itself called out folks on the right for doing the very same thing. As we do at Coffee Party, I went through the comments, moderating and deleting the most egregious insults. 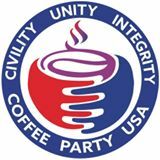 On our Join the Coffee Party Movement page, people don’t get to say whatever they want; we hold our commenters accountable and we work hard to provide a safe space for people to actually engage issues and disagree agreeably. On this particular day for this particular post, providing that “safe space” required hours of monitoring by several of us Coffee Party editors. The irony of this experience was especially vivid for me as I left cyberspace and returned to my family. In the Vaughan/Coyle family, as in many families, we cover the spectrum. My family is right, left and in between and we have worked hard to maintain our relationships within this toxic political climate. 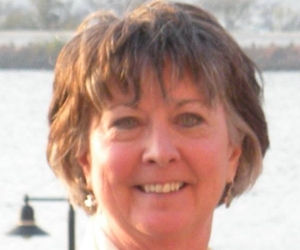 Just as Mr. Thiessen’s mother is not his enemy, we refuse to be enemy to one another. For awhile, the experience in cyberspace discouraged me; (actually the negative comments still make me very sad.) But then I discovered some of the hopeful respectful connections that have reached far beyond our own little Facebook page. As I write this several days later, the article is still generating comments, but more significantly, it is being shared and shared again. Over 4,000 shares by people who join me in believing in a vision of people who can disagree agreeably, respect differences and collaborate constructively. When I told my family about the Facebook experience, we all had to laugh out loud at one comment: “Enough of this centrist BS,” he said. No sir, there is not nearly enough “centrist BS” yet; we need lots more voices speaking out from the center in order to counteract the divisive voices coming from the extremes on both the right and the left. Indeed. And it’s high time All of us call BS on All the various dividers and come together as “one nation, indivisible.” This is what we say. Now let’s do it. As a woman of a certain age I have seen tremendous changes in our society, many, many of them very positive, very embracing of all Americans. However, I have been also watching the opposition coming out with dirty deals, name calling and trying to roll back the clock to some perfect American century, which I do not know . So I resent people not seeing this happening and calling both sides equal. If our society has been always equal, we would not need all the progressive changes. I think it sad that so many people are embracing politicians who are backlashers and imposing their religion in the process. If you don’t like the new rights then live our life according to your religion and allow others to live their lives as circumstances dictate. Both sides of an argument are not always correct. This particular blog challenges some bad behavior from the left: the childish name calling and stereotyping that happens all too often. We progressives need to clean up our act if we are going to ever hope to entice conservatives into productive collaborative conversations. Peace. This was so helpful to me! elect candidates who will not bait the electorate with hot button issues of guns, lower taxes for all, invasions at the border etc. and then pass laws and policy for the wealthy. Absolutely agree, Kip! Thanks for commenting. Peace. I can understand why some say “Enough of this centrist BS”. It is not necessarily a bad thing to say such if intended and interpreted correctly. 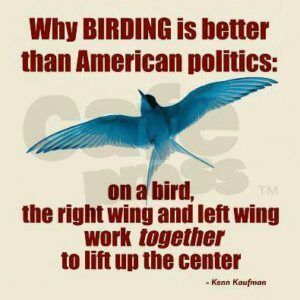 The ever right-ward shifting political ‘center’ is where liberals and progressives have been led by establishment and corporate Democratic politicians for the last several decades. It has masked a leadership capitulation to the moneyed interests and the elevation of capital over people that has now largely been put in charge of our country, economy, civic culture and news media. It has not been healthy to have embraced this kind of mindless ‘center’. There is another kind of center that can be found that does make sense…but to find it we need to step back from getting our polarized political and even religious identities. That center consists of what the majority of people actually want: Better jobs, better wages, healthy communities, healthcare that doesn’t cost an arm and a leg, balanced trade with the world, eliminating extreme wealth inequity, a secure retirement, a healthy environment and a more peaceful world. Most of the proven solutions to these issues are quite a bit further ‘left’ than the Democratic Party and the mythical ‘center’ have represented. In much of Europe the US Democratic Party, often accused here of being a bunch of extreme communists, would be considered, except on immigration issues, a moderately conservative political party. The trick of course is to implement the ideas of this real center without getting drowned out and pulled away by highly politicized and indoctrinated rabid extremists who promote the idea of the ‘other’ as enemy or less than human for their political views, religion, race or culture. Its going to be a heavy lift but we have no other choice. Well said, Edward. Thanks for your insights. Thank you Charlotte. Well said. Keep writing. Well said. I’m proud of you. While I understand the desire to move toward uniting to find common ground, I am a little tired of being scolded for being intolerant of those who support DT and the current administration. If someone wants to discuss something using sourced evidence, I can discuss it with them. If someone decides to glorify or sanctify DT or to invoke conspiracy theories, Obama, HRC, Mueller probe, GOP rhetoric, DT’s lies, name-calling, bigotry, etc–yep, I’m going to be intolerant of that. Using a both sides argument is neither effective or fair. I have people I can work with and be around. There are others that I have totally lost respect for. I don’t hate them. I just don’t respect them any more. I don’t have to treat them disrespectfully, but I don’t have to tolerate them. I don’t necessarily confront each one, but neither do I give them a pass. Unlike DT, I don’t bully, call people names, label people as enemies. My question for you would be this. If someone supports this administration (that promotes bullying, bigotry, xenophobia, homophobia, and violence; that lies every single hour of the day; that supports despots while alienating our allies; that gives huge tax breaks to corporations and the wealthy; that seems intent on ignoring climate change and the environment, etc.) what DOES that make them. You can’t just buy the tires. You own the entire car. You can’t just say–“but the economy” ( a likely mirage anyway). You own it all. If you are one of those people who acts respectfully toward those who disagree with you; if you avoid categorizing ALL conservatives as racist, enemy, evil, whatever; if you talk about the issues with passion and conviction without judging the motives and character of those who differ … Then I’m not talking about you. If that shoe doesn’t fit, don’t wear it. “Owning it all” is a flawed argument. I didn’t support everything President Obama did. I don’t agree with everything my husband believes. I don’t buy everything some other Christians profess. I am not required to own all of their stuff. Maybe if you find a trustworthy conversation partner who could explain their perspective, you could understand better. You don’t have to agree in order to understand. Ellen, one thing I’m passionate about right now is this door that has opened up. Many conservatives are frustrated and confused by the takeover of their political party and their religion. Many do not approve of DT or the Evangelical leaders that merge right wing politics with christianity, causing both to become toxic. If we progressives will be patient and gentle and kind, practicing what we preach about tolerance, then some of those folks may well be able to walk through the open door. If we continue to demonize ALL of them, then we will miss a prime opportunity. THAT is what I’m talking about; rabid hateful people are not my conversation partners and I will not waste my time and energy. But there are many many of our neighbors who would be open to respectful conversation right now. Let’s hear them. Well said. Thank you for personifying what it is to be civil in the midst of divisive obscurity. I salute you!